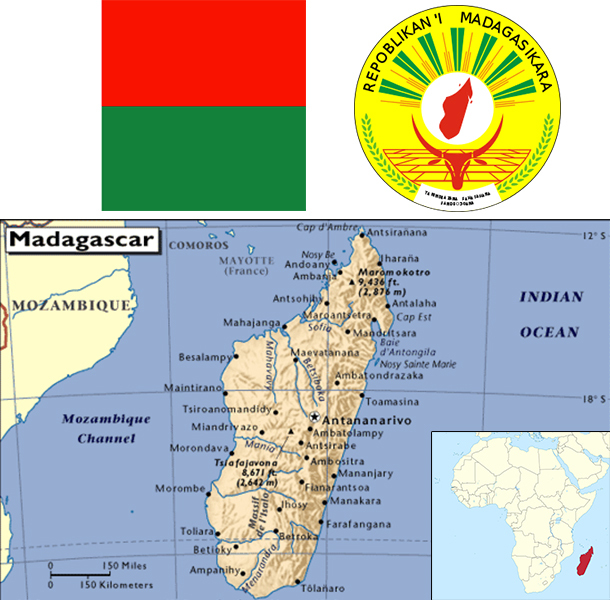 Formerly an independent kingdom, Madagascar became a French colony in 1896 but regained independence in 1960. During 1992-93, free presidential and National Assembly elections were held ending 17 years of single-party rule. In 1997, in the second presidential race, Didier RATSIRAKA, the leader during the 1970s and 1980s, was returned to the presidency. The 2001 presidential election was contested between the followers of Didier RATSIRAKA and Marc RAVALOMANANA, nearly causing secession of half of the country. In April 2002, the High Constitutional Court announced RAVALOMANANA the winner. RAVALOMANANA achieved a second term following a landslide victory in the generally free and fair presidential election of 2006. In early 2009, protests over increasing restrictions on opposition press and activities resulted in RAVALOMANANA handing over power to the military, which then conferred the presidency on the mayor of Antananarivo, Andry RAJOELINA, in what amounted to a coup d'etat. Following a lengthy mediation process led by the Southern African Development Community, Madagascar held UN-supported presidential and parliamentary elections in 2013. Former de facto finance minister Hery RAJAONARIMAMPIANINA won a runoff election in December 2013 and was inaugurated in January 2014. After discarding socialist economic policies in the mid-1990s, Madagascar followed a World Bank- and IMF-led policy of privatization and liberalization until the onset of a political crisis , which lasted from 2009-2013 . The free market strategy had previously placed the country on a slow and steady growth path from an extremely low starting point. Exports of apparel boomed after gaining duty-free access to the US in 2000; however, Madagascar's failure to comply with the requirements of the African Growth and Opportunity Act (AGOA) led to the termination of the country's duty-free access in January 2010, a sharp fall in textile production, and a loss of more than 100,000 jobs; Madagascar regained AGOA access in January 2015 following the democratic election of a new President the previous year. Agriculture, including fishing and forestry, is a mainstay of the economy, accounting for more than one-fourth of GDP and employing roughly 80% of the population. Deforestation and erosion, aggravated by the use of firewood as the primary source of fuel, are serious concerns. Many investors remain wary of investing for fear of a return to political instability in the country and because of weaknesses in the business environment. Expansion in mining and agricultural sectors contributed to growth in 2014. International organizations and foreign donors resumed development aid to Madagascar after RAJAONARIMAMPIANINA appointed a new government in mid-2014, however full-scale assistance will require further policy reforms, particularly on addressing rampant corruption.